The 9-foot Yamaha CFX is a full-sized concert grand piano and is the crowning glory of the Yamaha grand piano line. 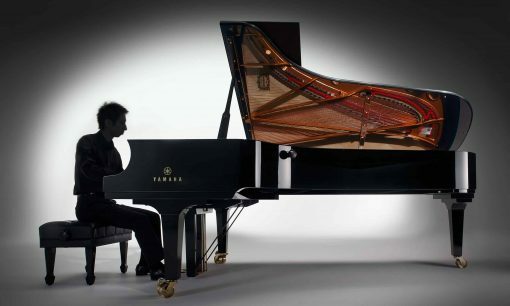 The Yamaha CFX can project over a symphony orchestra even in large music halls. MSRP: $179,999.00 On Sale! Contact us for Pricing! 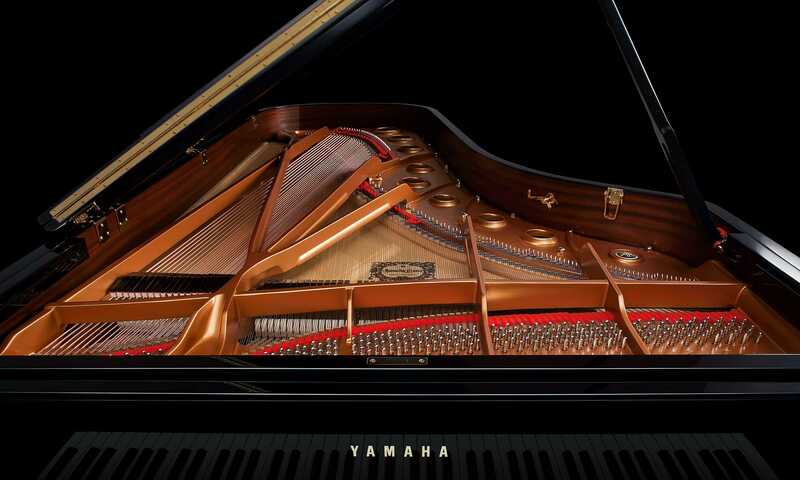 Learn more about the Yamaha CFX at any of our three Piano Gallery of Utah locations. 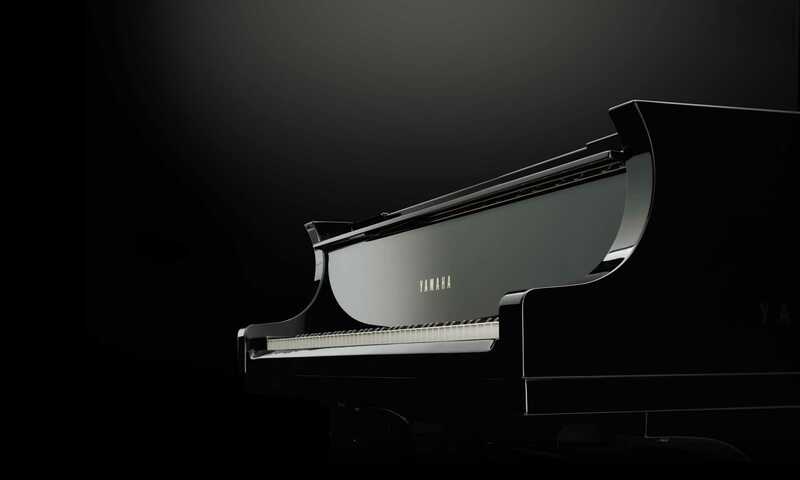 The Yamaha CFX has been carefully engineered to provide the most powerful, beautiful, and resonant sound available, with workmanship and durability that can support even the most powerful and professional piano players. 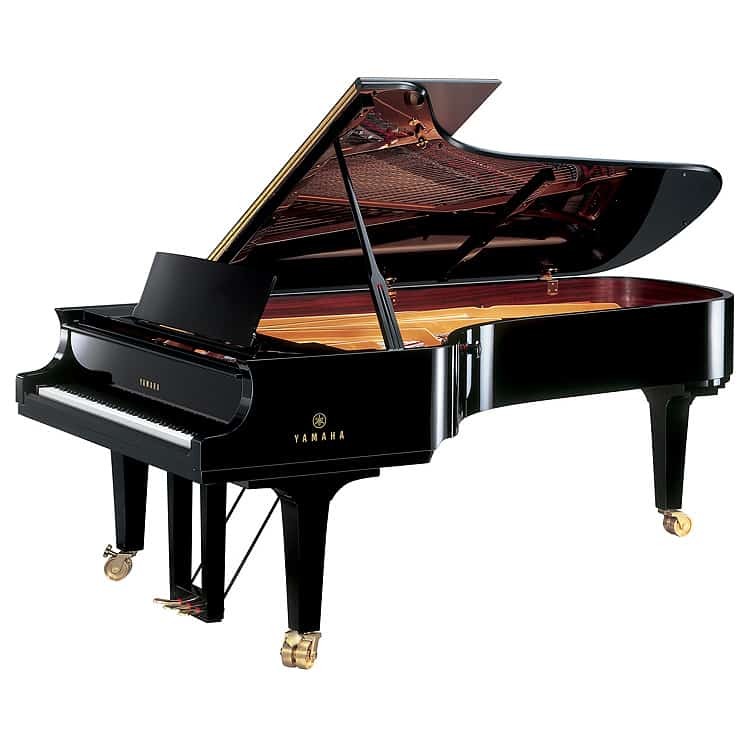 This Yamaha concert grand piano is idolized for its workmanship and quality. Newly-developed piano casing. 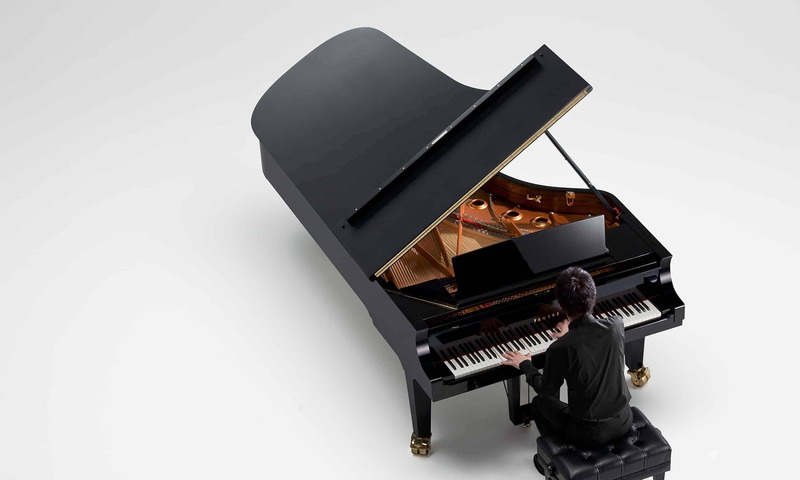 The piano casing of the Yamaha CFX concert grand piano includes an entirely new manufacturing process for shape, thickness, back beams, and posts, as well as a single-piece inner and outer rim. The result is a deep, rich sound with outstanding tonal projection. European Spruce Soundboard. This is the finest wood available for soundboards. Yamaha also attaches ribs to the soundboard with a newly-developed method that frees the soundboard from stress, adding rich overtones to the sound. Hand-Molded and Sand Cast Metal Frame. This enhances strength and stability, contributing to outstanding tonal quality. Impeccable Finish. Yamaha takes the glossy gleam the finish of the Yamaha CFX concert grand piano very seriously. With multi-step sanding, and finish applied one layer at a time with meticulous buffing in between each layer, the result is a flawless finish. 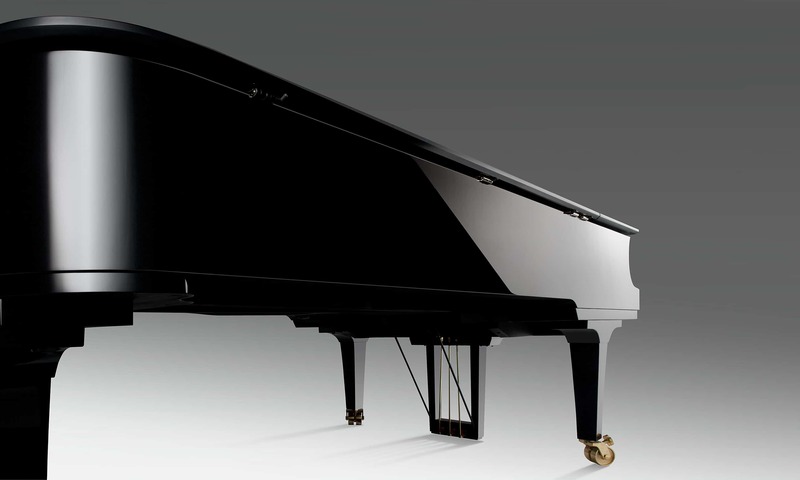 The lid finish is matte to prevent reflective glare upon orchestral musicians or audience. For more information about the Yamaha CFX, visit the Piano Gallery at any of our three locations. We are Utah’s exclusive Yamaha Piano dealer and the largest piano store in Utah.